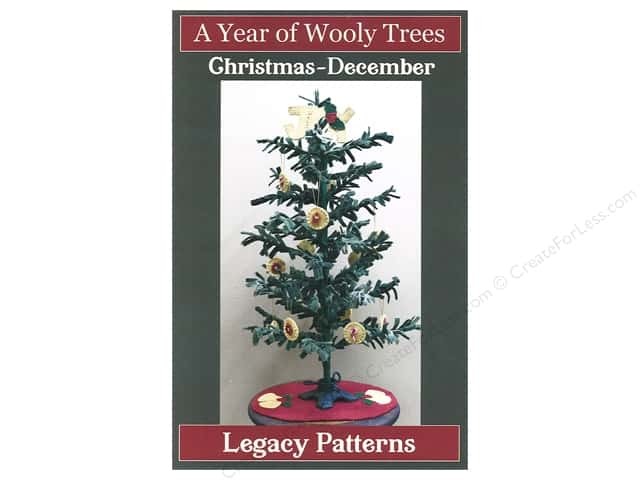 I recently posted a blog about making a miniature tree by Legacy Patterns called A Year of Wooly Trees Christmas – December. To read about its construction, please read Mini Christmas Tree fun – Making the Tree. The last blog entitled Mini Christmas Tree Fun – Making the Tree described how to make the tree. A lovely star ornament was added to the top and a wooden base used for a stand. Also included in the pattern were instructions and templates for a tree skirt sized just right for the 18″ tree. The JOY was supposed to be a tree topper, but I chose to use the star. I appliquéd the word to the tree skirt instead. The bells and holly are adhered with fusible web. I haven’t sewn them on yet – and may not. but I chose to paint 1-1/2″ wooden circles instead of the using the felt. After drilling a small hole and painting them with white acrylic paint, I glued the buttons to the wooden discs. 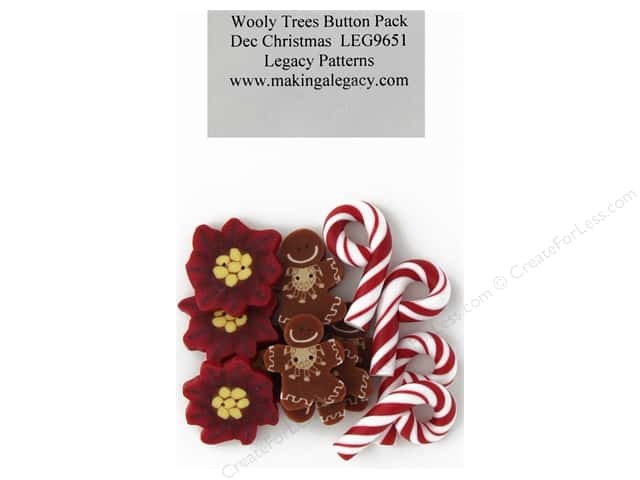 Three of the ornaments used buttons from the pack and the fourth a tree button from the Jesse James Dress It Up Embellishments Christmas Collection A Whimsical Christmas pack. Pearl cotton worked well to hang the ornaments on the tree. My next blog will cover three more ornaments: a button tree, snowman, and candy care – so check back soon!